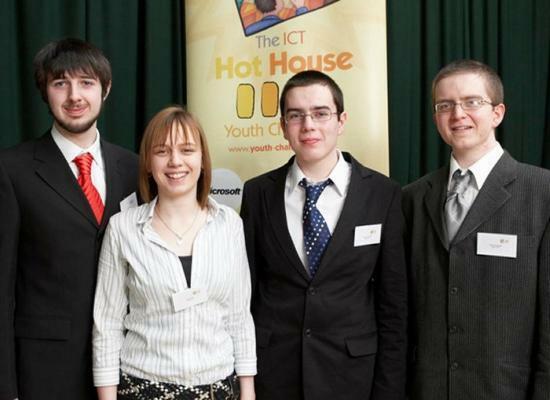 The final six teams have been announced for ICT Youth Challenge 2008 following yesterday's event at Strathpeffer where young innovators pitched their ideas for the future to a panel of judges. The teams are from Lochaber, Nairn, Wick, Keith and two from Fortrose and were chosen from sixteen teams of young innovators. The overall winners will win a trip to the world famous Massachusetts Institute of Technology, Boston, hosted by Highlands and Islands Enterprise (HIE). Two other teams will win sponsor trips - one to BT's European Research Labs at Adastral Park in Suffolk and the other to Microsoft's development headquarters in Seattle. The competition is all about growing ideas for exciting new businesses based on information and communication technology for young people up to 20 years old living in the Highlands and Islands. These six best teams have been chosen to go on a week-long 'Hot House' at the Fairburn Activity Centre in Maryburgh, Ross-shire on 23-27 June. There, they will face specialists from a consortium of organisations including BT, Microsoft, the Chartered Institute of Marketing, UHI Millennium Institute and HIE. John Mackenzie is the project manager for Youth Challenge at HIE. He said: "It was so difficult for the judges to choose six to go through as the standard was so high this year and it has never been so close. We congratulate all the finalists for making it this far in the challenge and wee look forward to working with them at the week long event in June." Robin Mannings, research foresight manager for BT added: "It's very exciting to see the next generation of innovators starting work on their ideas so early in their careers. These young people are our future partners which makes the challenge good for BT and go for the economy. John Edwards of Microsoft said: Microsoft is delighted to be involved in this activity as the competition directly addresses the key areas of innovation and skills and it's essential to offer support to young people with bright ideas."